Overhead Door Company of Fort Wayne has been servicing the northeast Indiana area for over 80 years. 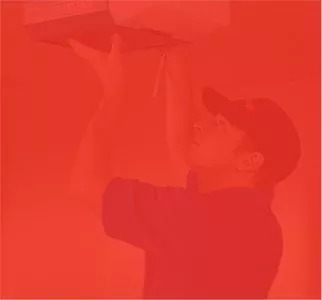 With our dedicated and experienced team to assist you every step of the way, you can rest assured you’ve come to the right place for garage door services and insulation installation. Overhead Door Company of Fort Wayne offers a wide range of garage door services to meet your every need! We have the experience and expertise to help you choose and install the perfect garage door to complement your home. Garage doors can stay in good working condition for many years, but there may come a time when they need to be replaced. If you need garage door replacement in the Fort Wayne, Indiana area, you’ve come to the right place. When your garage door breaks, repair isn’t something that can wait. That’s why Overhead Door Company of Fort Wayne offers emergency 24-hour garage door repair. We are there whenever you need us—24 hours a day, 365 days a year! Our residential and commercial insulation teams add energy efficiency, comfort and value to every project we work on throughout northeast Indiana. We offer the knowledge, experience and resources that few companies can match. Our crews are trained in the best practices for installation and safety procedures, and we’re always up-to-date on codes and guidelines for both residential and commercial properties. To have your garage doors serviced in northern Indiana, contact us or call 260-205-8509 for emergency repairs.